There is so much concern about the level of our federal government debt and how will we ever repay it. That is one thing to never have to lose sleep over. The United States uses a currency (the dollar) that only it can produce, has no obligation to back its currency with anything other than its commitment to accept it to pay taxes that are owed, no fixed exchange rate regime in which it operates, and has virtually no debt denominated in foreign currency. All of these conditions result in the dollar being a flat currency, backed by nothing, with the unrestricted ability to create more of it by printing more dollars or, much more common, crediting bank accounts via keystrokes of a computer. Given this, the only way the United States can default on repaying its debt is if it makes a political decision to do so. It is in no way revenue constrained because it can create all of the dollars it wants to pay any and all debt that comes due. [September 1, 2016 – Update] When this blog was published in April 2013 the economy was still recovering from the Recession of 2008. 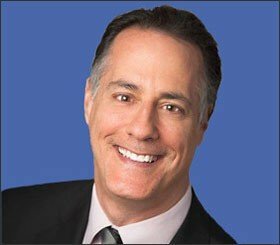 Looking back over this article today, during a time when we are close to full employment and the markets are strong, many of you would see this from a more positive perspective than most had in mid-2013. 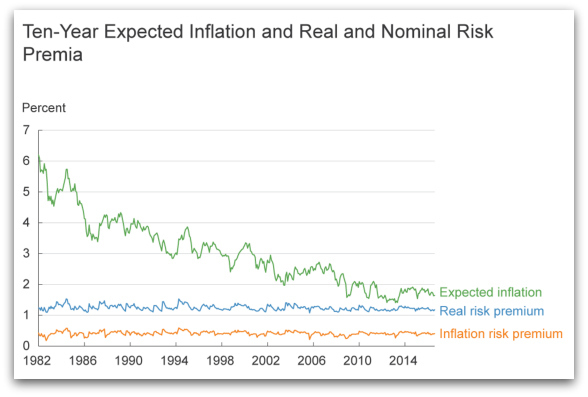 As the updated Cleveland Fed chart shows the 10 Year expected inflation is 1.63%. [NOTE] Based on a comment I received I’d like to clarify that default should only be the result of a political decision and has nothing to do with the ability to pay, just willingness to pay. 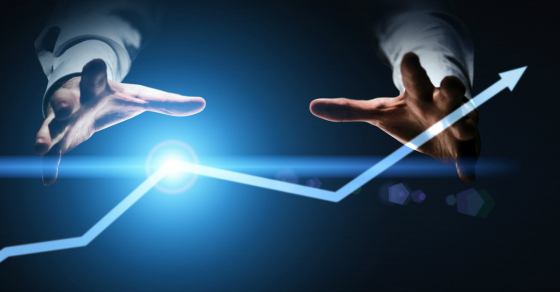 As you re-read this blog, given the positive economic climate we are in now – 2016 – does it change your perspective or your interpretation? There will always be global upheaval and political strife that affect the world economy. Do you agree that the economic climate affects your interpretation of the blog? I’d welcome your thoughts, especially if you commented on the blog when it originally was published in 2013! Before you hit the submit button with such slogans “No Need to Ever Fear Default”, consider cases such as the debt ceiling. I know you will change the argument to “politicians are silly” but realize the falsehood of your title. Your point is well taken in that default should only be the result of a political decision and has nothing to do with ability to pay, just willingness to pay. From my reading of your well written link, your scenarios peg the pound to required convertibility regimes or have the U.K. borrow in foreign currency which then can introduce externally driven default catalysts versus solely political ones. Not all countries are like the USA. Many don’t have the choice not to peg their currency or borrow foreign debts. The MMT concept that anyone can remain sovereign is true, but not to the advantage of all countries at all times. For instance, MMT would probably say that China and Switzerland are not “sovereign” because they have had pegs of some sort at times during the last 10 years. But that’s only because it was advantageous for them to do so. It’s a choice to peg one’s currency, but sometimes it’s a very bad choice not to peg one’s currency. Very true. The post was intended to apply to only those countries with fiat currencies like the United States. Great summary of the main reasons why fears of default are silly. However, I would also argue that fears over inflation are also misplaced. What we have to fear is not inflation per se, but hyperinflation and/or price inflation without corresponding wage inflation. Inflation, in and of itself, as long as it’s not hyper and as long as wages also grow at near the inflation rate, are vital aspects to any capitalist system. Since capitalism is based on the pursuit of profit and financial capitalism is heavily reliant on credit creation, capitalism simply cannot exist without some degree of inflation. 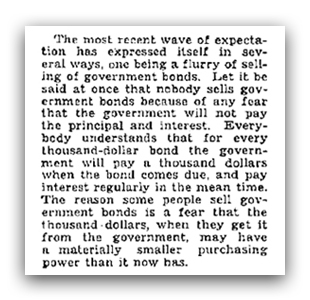 As for hyperinflation, we have nothing to fear. As far as wage inflation, that is surely the biggest problem we face. Basic living costs, such as healthcare and education, have been and continue to rise at a much faster pace than wage increases. This, not some default bogeyman, is the main economic problem facing the US. Thank you for your thoughtful post. Nice article, Gary. Repeat your points a thousand times and the message might eventually get thru to the idiots in power, and numerous idiots like Rogoff in university economics departments. No reason to let the facts or truth get in the way of a good story. Thank you for your kind words. I’d love to see an article on the history of inflation in the U.S., what type of inflation it was and what the response was vs. your prescription. 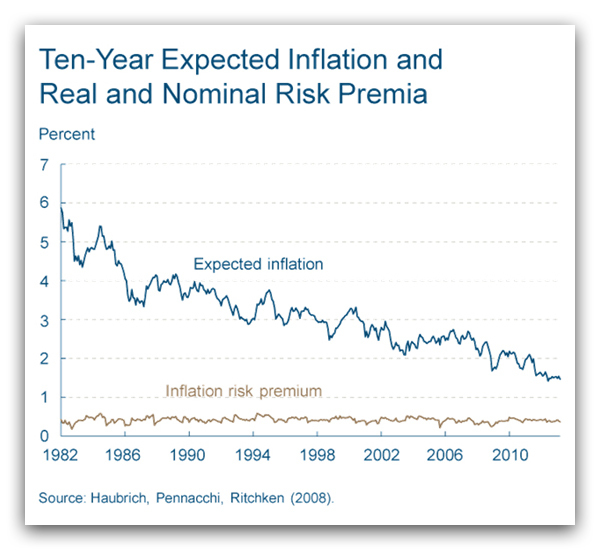 Gary, how is “inflation risk premium” defined here? If it is “the amount you would be willing to give up to protect yourself from unexpected inflation” then 0.3% to 0.4% pa seems like a large amount to pay for such protection in a low yield world?